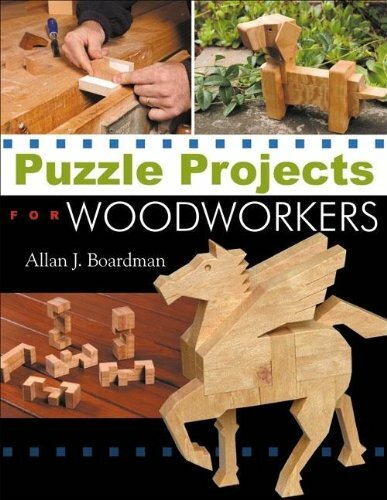 Puzzle Projects for Woodworkers features 14 original wooden puzzle projects designed by acclaimed members of the international puzzle community. The puzzles include two charming animal take-apart puzzles, a unique trick box, a mysterious spinning object, and more. Writer: Allan J. Boardman. Size: 21,5 cm x 27,9 cm x 0,6 cm.